The curriculum at Priory is broad and balanced. We ensure a broad and balanced curriculum, supplemented by enrichment and other activities, delivered in conjunction with our partners to guarantee a curriculum better matched to all students' learning needs with personalisation at its core. The school works hard to ensure that students are able to follow personalised courses in Years 10 and 11, including vocational options, if appropriate, with a range of partners. Throughout Years 7 and 8 our students follow, a curriculum structured to the needs of the individual. We have increased the provision for English and Maths, as we believe that improving key skills of literacy and numeracy will improve engagement and the ability to access the curriculum for all students and will improve progression for students. The mostly Gifted and Talented students are identified from KS2 data and monitored by subject leaders to ensure they are suitably challenged in order to push their academic progress further. 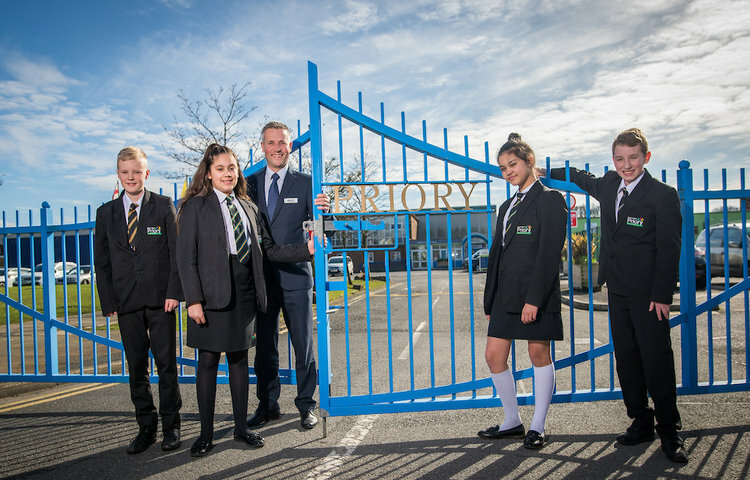 Year 9 follows a similar structure, but has more focus on preparing students for their future with GCSE and level two qualification, with work starting in some subjects and other nationally accredited qualifications being followed in others. All students will take the GCSE RE at the end of year 9. At the end of year 8, they will choose 4 option subjects which they will then study for 2 hours each per week, in addition to English, Maths, Science, PE and RE. KS4 is matched to a student's aptitude and ability and all students will undergo a 10-minute interview and mentoring sessions with a member of the extended leadership team who will ask them about their choices and use data from their school reports in their advice and guidance. In years, 10 and 11 all learners are taught a series of fully accredited courses, including GCSEs and BTEC Courses. Specialist staff teach all of these courses. There is the option for a small number of students to access college courses and it is arranged on an individual basis by Jan Naylor, leader of the learning support department in consultation with Amanda Holland, SENCO. This vocational curriculum demonstrates the school's commitment to personalising learning for all ability groups. The essential aim of this particular nurture group is to provide a bespoke curriculum, which will help KS4 students to develop their level of employability. For further information on any aspect of the school curriculum please contact Mr N Gee at Priory.